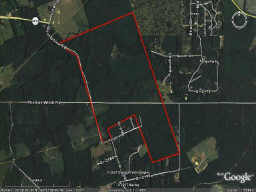 793 +/- acres with endless possibilities! Personal ranch, recreational, or development into 100's of 5-10 acre ranchettes. Minute(s) from 59. Secluded, no road noise. 800 Cherry Creek could be your address. Better hurry! Hard to find this price so close to Houston. No Floodplain. Hunting!! Make a Lake--fishing; horses; camping. Take a drive. Dine in Shepherd.